Relationships is the new education mantra, or has been, or has been revived, or something, but it still remains the most important part of educating students. All educators know that it’s MUCH harder to get students to tackle hard material, persist, or sometimes just even engage, if you don’t have a relationship with them. When I think back over the years I’ve been a teacher, I can see this clearly now, even if I didn’t know it at the beginning of my career. My first few years as a teacher, I was not great at teaching the content, but I was good at building relationships (though I would have called it something else) and gaining the trust of my students. I didn’t know it came naturally to me at the time however. In retrospect, I can see why my classrooms worked pretty well, despite being a new and mediocre teacher. I actually cared about my students, cared in a way that forced me to be honest with them, to tell them things others were afraid to tell them, to challenge them when they were being intellectually lazy, to default to community building, not punishments, whenever we had a rough patch, basically to affirm our humanity and put that 1st, not academics. I’m Facebook friends with many of my students from those first few years, in Oakland and Hayward, CA, and they have many positive things to say, even if I remember those times a little differently. When I ask them what they liked about class, they usually say things like you made it fun, we did things that were different, you spoke directly to us, we trusted you wouldn’t shame or humiliate us. As I developed my craft, I learned more about pedagogy, learned my content and delivery better, improved classroom management, got better at speaking with families, learned how to work with colleagues (even ones with whom I had big ideological differences with), how to balance my time, and how to prioritize the important stuff. I was becoming a much better teacher, however, there is something I still cannot shake. During this period, I had moved to Philadelphia, and I was working in the public schools there. Not one of my students from the 5 years I taught there, had ever requested to be my Facebook friend. I know, it sounds superficial and lame, and maybe it is. It does get me thinking though. Had I let my desire to “become a better teacher” drown out all the relationship building I used to do? If you had asked me at the time, I would have probably said that I had the relationship stuff on lock down, and my focus on improving as a teacher, was going to be on top of the relationships, not at the expense of them. In hindsight, I can see that during this period, I definitely shifted focus away from relationships to become a better teacher. I don’t know if it was intentional, or I was in a new unfamiliar city so I didn’t connect with the kids as easily, I didn’t know how they would view my eccentricities (or worse, judge me harshly for them), or I thought it was just something I needed to focus less on, so I could improve other areas. I still don’t know, but I am struck by the fact that not one of my students from that time has sought me out on Facebook and requested to be my friend. It’s an imperfect measure, but I do think it’s correlated to my shift away from relationships. I’ve looked up a few of my favorite students, seen others I knew in their friend lists, and remembered countless others. I’ve been tempted to send a request to some of my real favorites, but I’ve decided not to. I’ve decided to let it be. I’ve decided to see if anyone from that period ever tries to get back in touch. I’ve decided to not act, to just reflect, and to learn, and to improve again, and to bring a renewed emphasis on relationships. 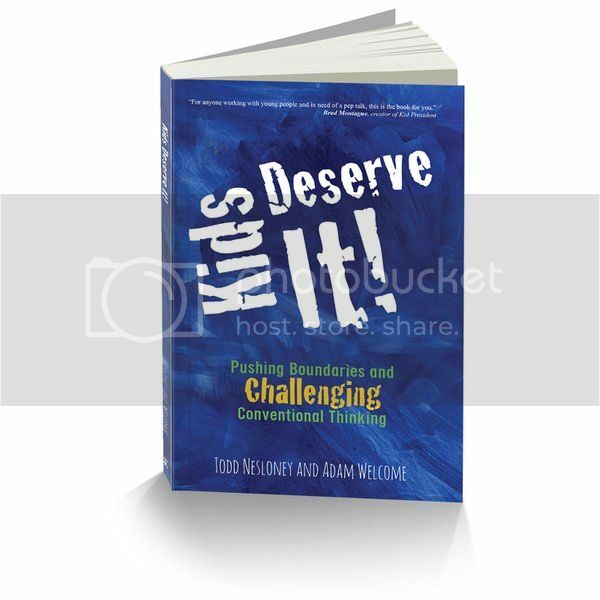 I’ve been reading “Kids Deserve It!” by Todd Nesloney and Adam Welcome. Chapter 17 is called “Relationships Matter Most”. Relationships have always been, and will always be, of the utmost importance in our schools. I’ve created a Flipgrid to share thoughts about Kids Deserve It. I’m not sure I want to do a full book study, but perhaps just some reflections. Feel free to add yours. Here is the link. There is a list of things to do in Chapter 17, to keep relationships front and center in our teaching. As I read them, I think I’ve done them when I’m based out of a school. Thinking ahead to my new position next year, I wonder how I’ll focus on relationships since I won’t be based at a school. Although I’m amped for my new position, it will put to the test, my ability to refocus on relationships, to bring out even more student brilliance. There is a short 30 minute Twitter chat for Kids Deserve It, perhaps I’ll spend more time there this year, and ask for help in this area. Every problem a teacher has, another teacher has solved before them. I start a new position next school year. I’ll be a Teacher on Special Assignment working on the Computer Science team. I’ll be 50% working in central office and 50% teaching computer science in schools. Since I won’t be based in a school, I wonder how this will affect my ability to build and nurture relationships with my students. I won’t have before and after school, lunch, passing periods, and after school events as leverage for relationship building. I’ve decided to try to use Flipgrid as a way to stay connected with my students when I’m not at their school. We’ll see how it works out. There I think I can post topics that focus more on relationships and less on academics. It’s there I think we can learn more about each other and build trust. It’s there we might be able to have challenging conversations, or at least start them. It’s there we might share our hopes, dreams and fears. It’s there we’ll stay connected, even when we are separated physically. How have you developed relationships with your students, when it was challenging to do so?